Despite some tearful admissions of paternity from private sector banks (with incitation from Uncle Central) there has not been much in the way of maintenance (outside Iceland) for the strange fruit of their loins. Indeed, the very idea of financial participation in junior's recovery ("20 cents on the what?!") 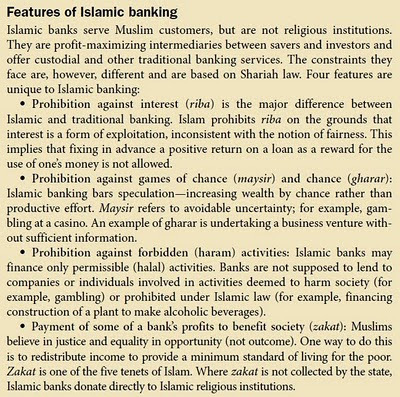 is invoked as a roadmap to general economic disaster. Not that this is a guarantee of inertia by Chancellor Merkel; or will prevent a deferred "restructuring" in some of today's "austerity budget" economies. 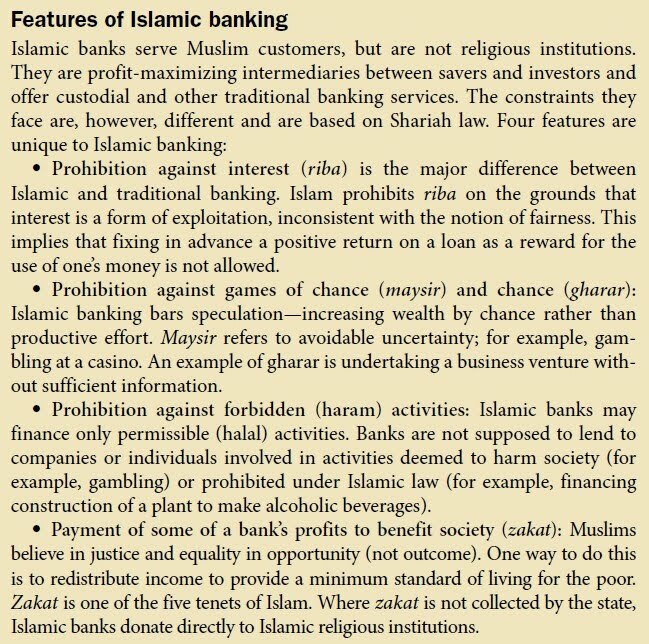 It is interesting (and no more without deeper reading) to contrast this confrontational approach with that of the Islamic banks - as reported in the latest edition of the IMF's Finance & Development. 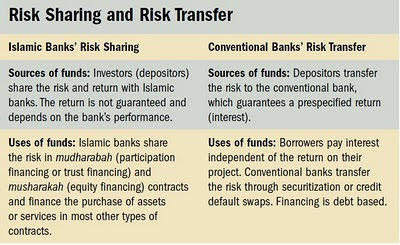 A little maysir and (more, if this is corporate sponsorship-type spending) zakat would not have gone amiss; and would not going forward either. Unfortunately that reform game seems over (for now, perhaps). 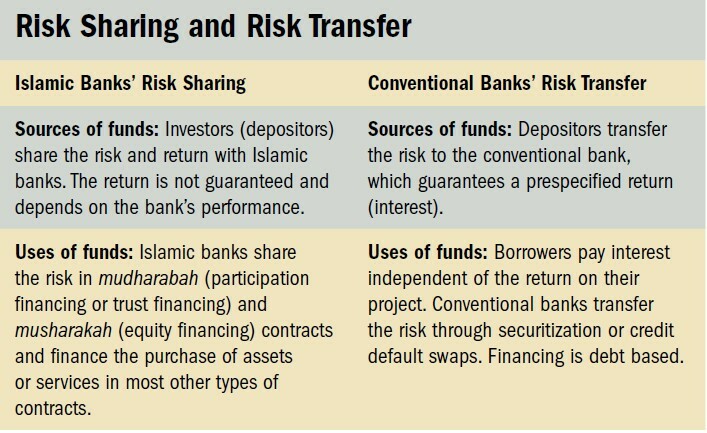 Apart from riba, other differences between Islamic and Conventional banks, in my view, are simply a matter of choice for the society: one man's camel is another man's donkey?